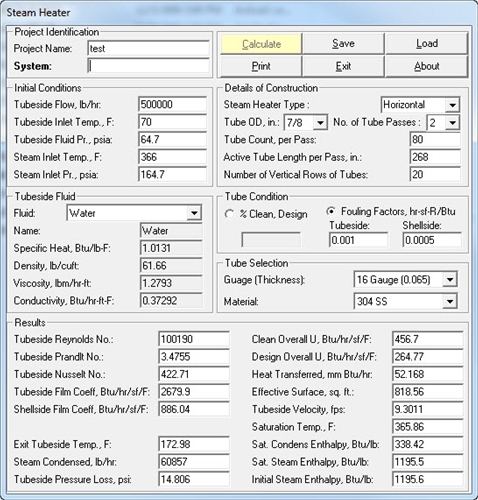 This program calculates the performance of a steam, shell-and-tube heat exchanger of known construction using rigorous formulations. Steam and water properties are built in. The type of fouling can be specified. The shell-side fluid is always steam. The tube side fluid can be any non-condensing fluid.